Yes, Presidents’ Day is capitalized because it is a proper noun and a named holiday. The word “day” is capitalized when used right after the “Presidents'” since it is part of the holiday name. Presidents’ Day was originally created in 1885 as a holiday to celebrate George Washington’s birthday on February 22nd since he was the first President of the United States. It was moved in 1971 to be the third Monday of February to allow for a three-day weekend for workers. These days, Presidents’ Day is meant to celebrate all Presidents of the United States, past and present. What about the apostrophe in Presidents’ Day? Does it come before or after the “s”? The apostrophe is after the “s” because the day refers to a collection of famous presidents whose birthdays were all around the middle of February (Washington, Lincoln, and a few others) so the day belongs to several presidents. 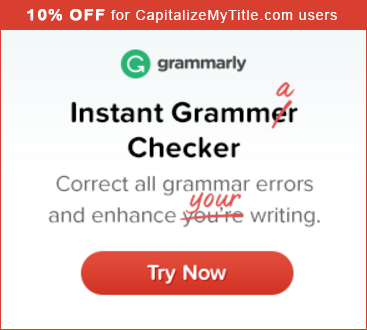 Next articleDoes Grammarly have a discount?